My goal is to get the athlete ready for racing, quality over quantity. Most athletes have busy lifestyles and need to fit training around their already full schedules. 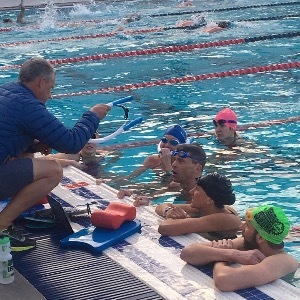 With over 20 years of experience, becoming a triathlete isn't just about the day, it is about the journey and the lessons we learn about ourselves along the way. I work with athletes to create individual training programs based on each athlete’s goals to ensure optimal training, racing and lifestyle. Just as each individual is unique, I believe training programs should reflect this. Each and every training program provided is customized based on the goals and feedback obtained from the athlete. Every athlete, regardless of ability, deserves to learn about their potential and explore their capabilities. With my 20 years of coaching experience comes the ability to quickly assess and target those developmental needs. In my programs, athletes tend to improve quickly initially, and take further, greater steps after completing 2-3 annual training cycles. Every season we dig deeper into the finer points of training, psychology, sports nutrition, racing tactics and sports science. My journey as an athlete has spanned over 20 yrs, completing 9 Ironman's and countless running, cycling and triathlons. Accepting athletes who are looking to get started or looking to improve performance. Success. Coach Robin Barsantee has been notified of your message. To hire Robin Barsantee as your coach, select the coaching service that is right for you.